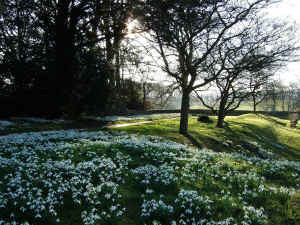 The historic site of Benington Lordship, and the views over surrounding parkland lend this garden a unique atmosphere. 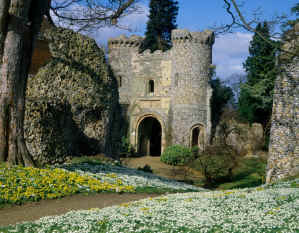 The garden at Benington Lordship is famed for its displays of snowdrops around the moat, ruins and Pulham Folly which are complemented by hellebores and winter flowering shrubs. 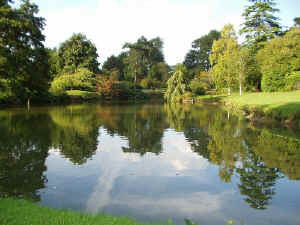 A winter stroll also incorporates the ponds with reflections of the shrubs with coloured barks. 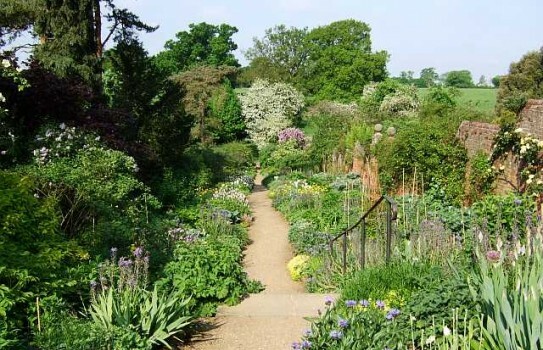 Spring follows with swathes of scillas, daffodils, and fritillaries, before the summer glory of the roses and spectacular double herbaceous borders. In the walled kitchen garden, vegetables are still grown, alongside the growing collection of named snowdrop varieties - 200 to date. Open 2019 - For opening times at Benington Lordship visit website. Snowdrops from February to March. See website for dates and times of all openings. If you want to take a break near Benington Lordship Garden, why not stay in one of our recommended hotels. Look now - click here.